If you own a business, you are going to need to ensure that the doors are in great shape, especially if there is a lot of traffic going through the doors on a daily basis. 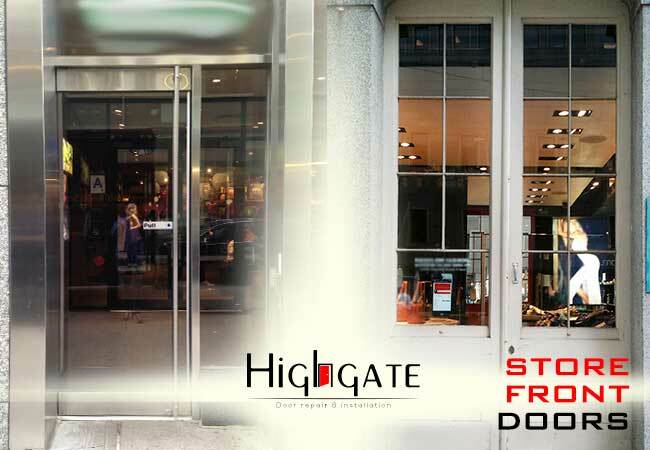 At Highgate, we have professionals that are trained to install and repair the different types of doors that a business in NYC Metro area: Manhattan, Bronx, Queens, Brooklyn, Staten Island, Long Island, New Jersey, Connecticut & Upstate New York City may have. Installation of a commercial door is not something that happens often, but sometimes it is needed to replace an old door or to create a larger entrance for your customers. There are a few different types of doors that you can select from, but in most situations, business owners choose to mix and match the different doors so that their store is easier to enter. • Manual Doors – This is a door that the customer pushes and pulls to open. These doors are a great option to install at a mall or a place with a smaller entrance, but keep in mind that sometimes these doors can be heavy and difficult for some individuals to open. • Automatic Doors – These are doors that open as you get close to the motion sensor that opens them. This type of door can be a swinging door that is reminiscent of a manual door or it can be a sliding door, which gives you a larger entrance. 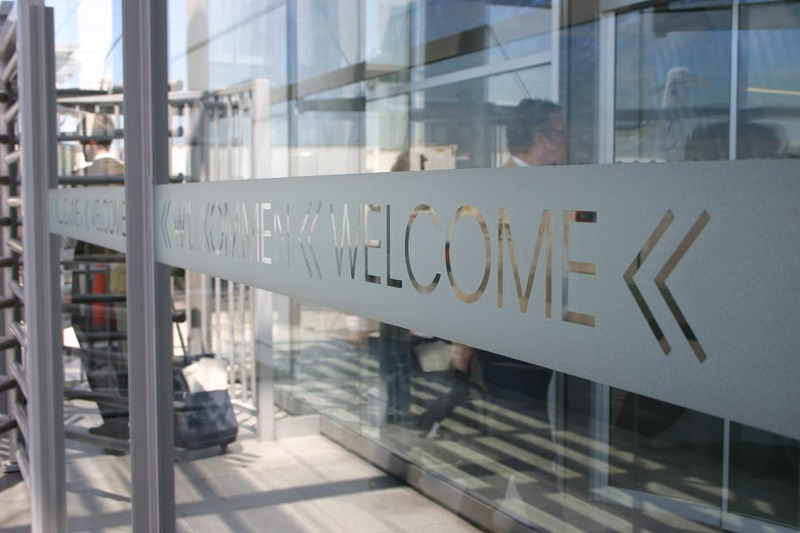 In NYC Metro area: Manhattan, Bronx, Queens, Brooklyn, Staten Island, Long Island, New Jersey, Connecticut & Upstate New York, there are also automatic rotating doors that are designed to keep foot traffic moving at the entry point. • ADA Doors – These are handicapped doors that make it easier for someone with a disability to enter your store. Typically, this type of door has a button that you press as you are approaching the door that opens it so that when you get to the door, you can simply enter it. Since most businesses in NYC Metro area: Manhattan, Bronx, Queens, Brooklyn, Staten Island, Long Island, New Jersey, Connecticut & Upstate New York have a lot of foot traffic each day, it only makes sense that the doors will wear out more quickly at a business than they would in a residential setting. This means that repairs will need to be made to the doors so that they are able to function for years to come. At Highgate, we understand that sometimes emergency repairs may need to be made as well, so we can be reached 24 hours a day, seven days a week at 212-860-5477. We are licensed and insured professionals that have been serving the New York City are for over a decade. Call today for a free quote. • Break-Ins – No matter where your business is located, robberies can occur. If the door has taken damage from a break-in, call 212-860-5477. We have trained professionals on call all day and night to deal with any emergency repairs that you may need. • Hinge Damage – High foot traffic through an entryway adds to the stress and the strain that is put on the hinges of the door. That being said, performing checks on the doors every few months to make sure that the hinges are secure and working properly will help make the repair process simpler. In fact, if you have your checks done by a professional at Highgate, they can do the repairs on the spot in most situations. • Handle Damage – The same is true for handles, especially the handles that are on a manual door. With a lot of customers entering your store, there is a chance that the handle can become lose with time. • Automatic Functionality Broken – If an automatic door stops opening and closing on its own, that can limit the entry points into your store. If you are not an electrician, these repairs can be difficult to perform, which is why it is best to contact a professional at Highgate. 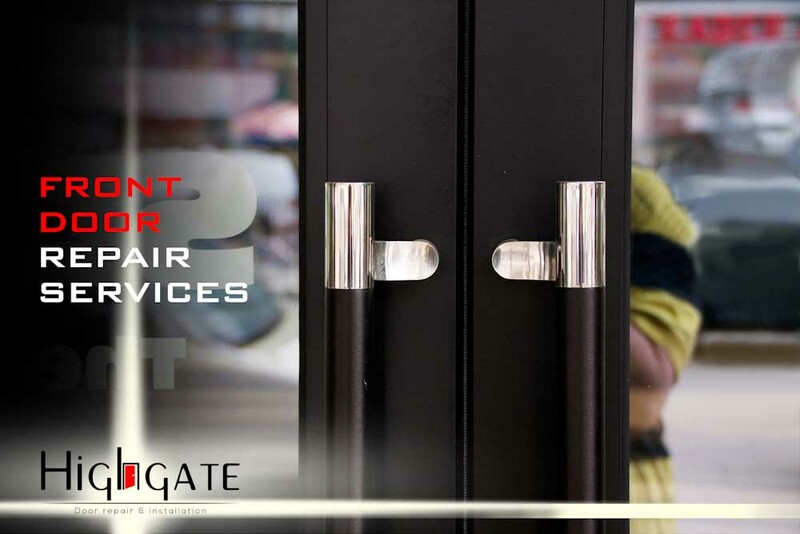 No matter what type of entry doors your business has, we can help you install or repair the doors as needed. Simply call 212-860-5477 today to speak with a professional who can see to your commercial door needs in NYC Metro area: Manhattan, Bronx, Queens, Brooklyn, Staten Island, Long Island, New Jersey, Connecticut & Upstate New York.